BCLipps 1495, originally uploaded by harmonweddings.com. 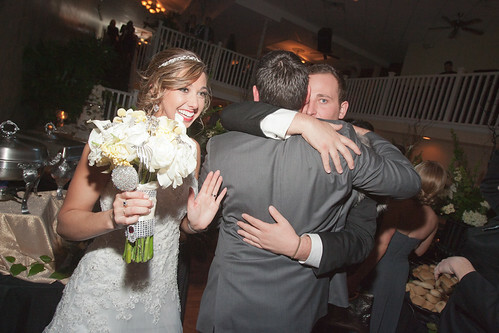 Cami waves to guests as her new husband, Blake, gets a congratulatory hug from one of his groomsmen at the start of the couples reception at 300 Spring in Jeffersonville, Indiana. BCLipps 0394, originally uploaded by harmonweddings.com. 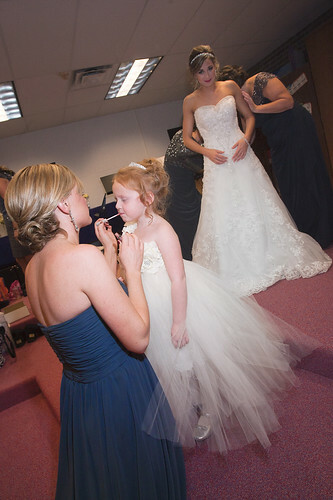 Cami's Junior Bridesmaid gets her finishing touches as Cami has the last of her dress fixed just prior to walking down the aisle on her wedding day at Grace Lutheran Church in New Albany. BCLipps 0359, originally uploaded by harmonweddings.com. 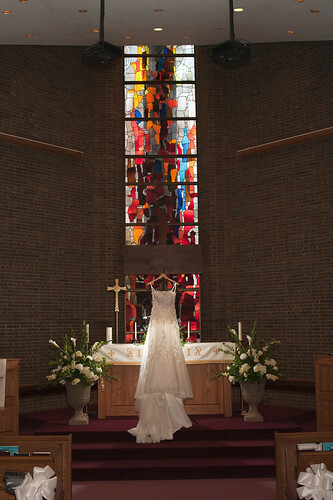 Cami's dress is shown at the altar as she and the ladies do some last minute prep prior to her wedding at Grace Lutheran Church in Nee Albany, Indiana. BCLipps 0211, originally uploaded by harmonweddings.com. 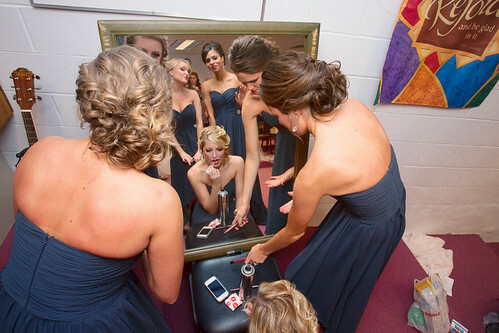 Cami awaits her stylist as she and her bridesmaids get ready. She and her girls did hair and makeup in Floyd Knobs. TEHawkins 0491, originally uploaded by harmonweddings.com. The antique stairs and railing really worked well at St. Augustine's Church in Jeffersonville as Elise and I really used them for many shots. 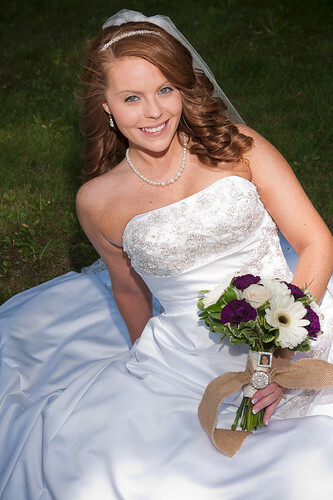 The Stained glass and ornate decorations throughout the church really added a touch of class and beauty to the day for her and Travis. 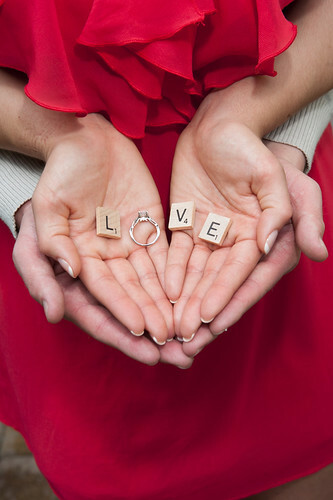 KTCarter 0542, originally uploaded by harmonweddings.com. Tara gives me a few minutes as she just finished up her pre-wedding primping in the guest house at the Huber Winery in Starlight, Indiana. Conrad 0193, originally uploaded by harmonweddings.com. 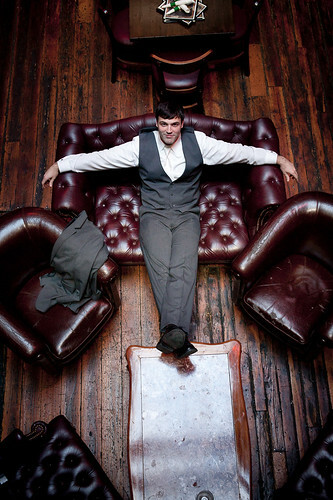 Nathan relaxes a bit as his groomsmen step aside for a bit during our pre-wedding shoot at O'Shea's in downtown Louisville prior to his wedding at the Ice House. JJLackey 0347, originally uploaded by harmonweddings.com. 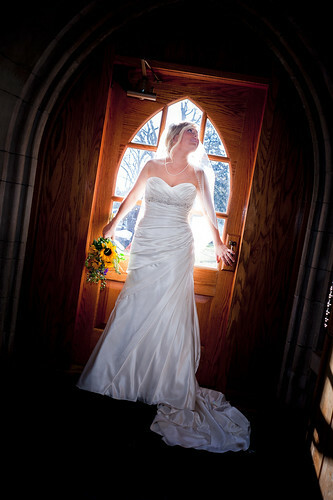 I try and work with natural lighting when it works to our advantage and lining Jessica up just right put a nice spotlight on her just before her wedding. Bauerla 0315, originally uploaded by harmonweddings.com. 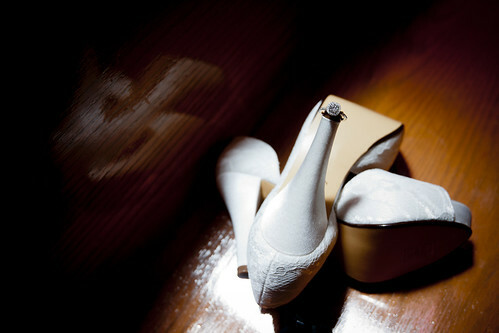 Kristina's ring and shoes reflect in the shine of the pew benches at Our Lady of Perpetual Help in New Albany. Bauerla 0831, originally uploaded by harmonweddings.com. 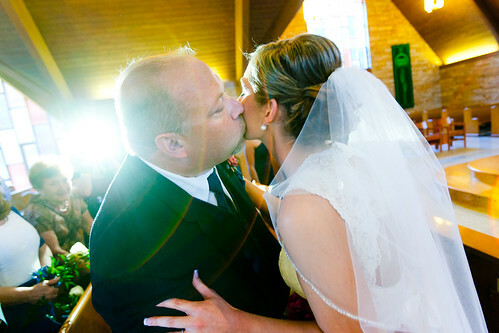 Kristina's Dad kisses her as he gives her away during the opening of her ceremony at Our Lady of Perpetual Help in New Albany. Bauerla 1843, originally uploaded by harmonweddings.com. 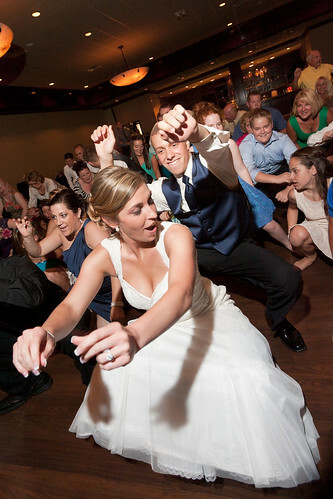 Kristina, as well as her wedding guests really wore the dance floor out that night! 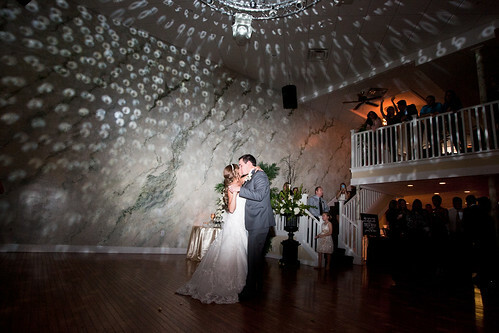 It was a whir of lights, guests and bridal party all night dancing to the sounds and showing off their moves. Bauerla 1969, originally uploaded by harmonweddings.com. Steve and Kristina were great to work with as we made our way amongst the picturesque scenes that Huber Winery provides. The couple really wanted some creative shots, capturing those special moments between the two of them, and we made the very most of the time we had available. Bauerla 1999, originally uploaded by harmonweddings.com. 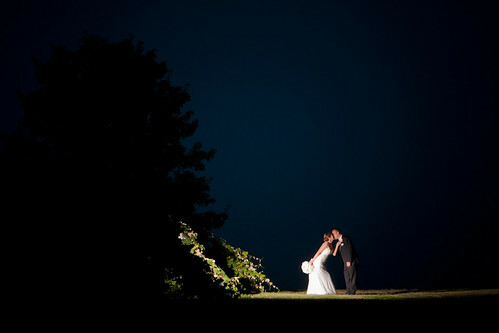 Kristina and Steve finish off their special day with a goodnight kiss in the vineyard on the hill at Huber Winery in Starlight Indiana. Frost 0012, originally uploaded by harmonweddings.com. 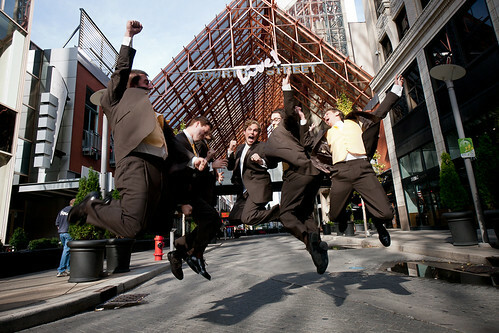 Brad and his groomsmen were wonderful to work with and were filled with energy and wackiness throughout the day. It was a real pleasure because every turn downtown provided us with different backgrounds and different situations to photograph. Frost 0069, originally uploaded by harmonweddings.com. 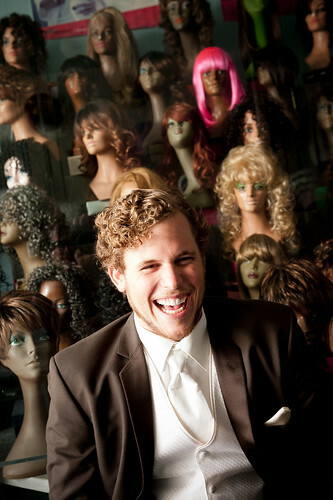 Brad cracks up at the comments of his groomsmen as we work on some groom pictures along one of the 4th Street shops near the Seelbach Hilton downtown prior to his wedding later that day. Frost 0898, originally uploaded by harmonweddings.com. 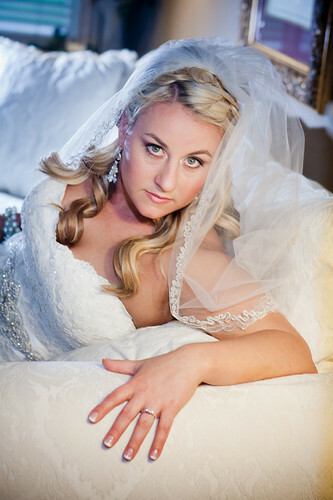 Ellen awaits her groom as they ready to depart for the reception in Downtown Louisville at the Seelbach.